ADD NEW FASTA PASTA COOKBOOK? MAKES A FANTASTIC, WELL RECEIVED GIFT! Save when buying two or more. FASTA PASTA: We've all experienced it--spaghetti that doesn't come out right... either mushy or crunchy. Here's the answer. 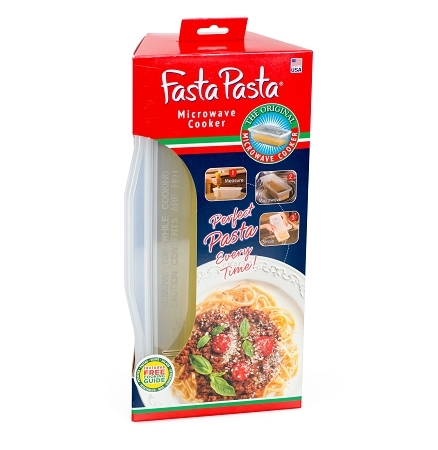 Fasta Pasta- very clever and innovative way to cook perfect pasta of all types* every time without constant stirring and "watching the pot boil". No throwing the noodles against the wall either to see if they stick--unless you want to! Although, I still do this-- it's fun! Fasta Pasta WORKS! I was very skeptical too, which is why I test virtually every product before offering it to you. 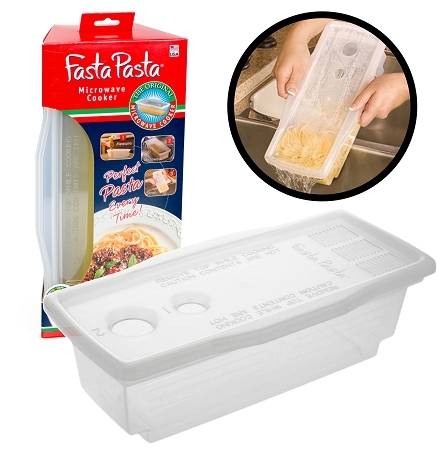 We have a video showing how fasta pasta works (2 parts). 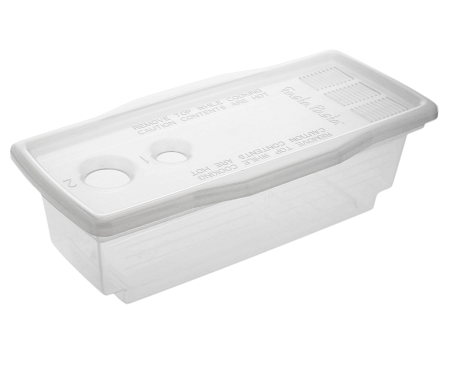 * Rectangular Pasta cooker which measures approx.12 x 5 x 4 and can cook anywhere from 1 to 4 servings of pasta. 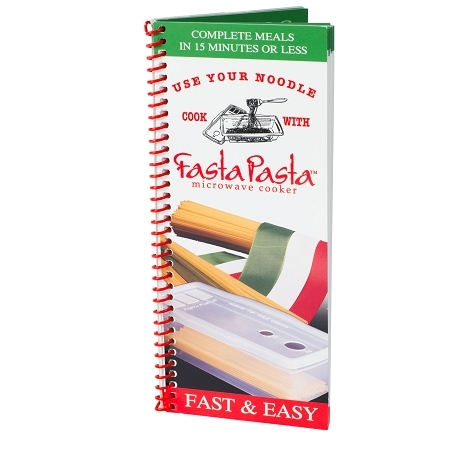 * Fasta Pasta Cookbook w/ 50 recipes and VERY EASY TO FOLLOW INSTRUCTIONS. We have tried 10 different types of pasta with the FP and all have turned out perfectly. *GLUTEN FREE pastas don't turn out very well following standard instructions. We're working with manufacturer on this. 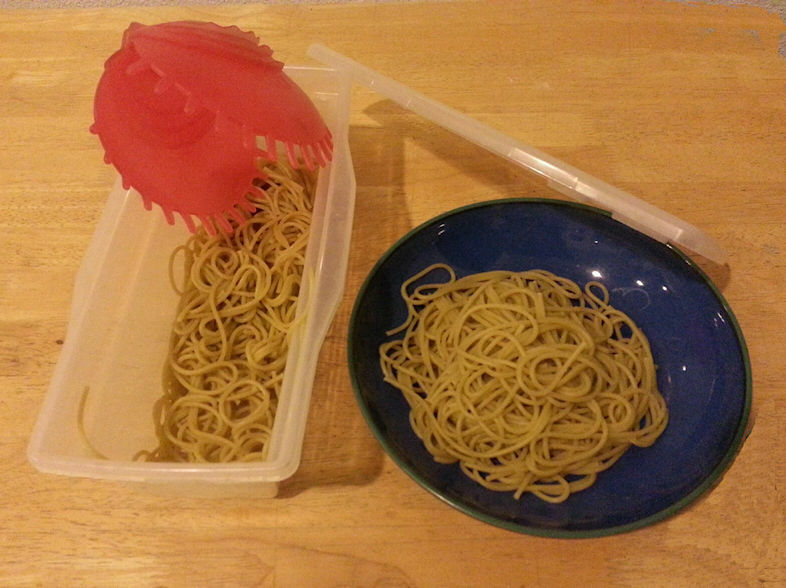 These are great for all kinds of noodles and vegetables. I've even used mine to cook Coco Wheats and Cream of Wheat. Also excellent for boxed macaroni and cheese. Bought my Fasta Pasta from Strictly USA and I was a bit skeptical--perfectly cooked pasta in the microwave...really? However it worked great and is very easy to use. The spaghetti was cooked perfectly not too mushy nor crunchy. As a huge plus without having to watch over the pot, I was able to get salad and bread, ready, etc. Try it out. I'm convinced.